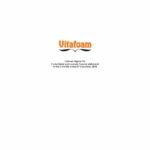 Vitafoam Nigeria Plc manufactures and sells a range of flexible, reconstituted and rigid foam products in Nigeria. It is the largest foam manufacturing company in the country with an extensive distribution network which includes exporting to other countries in Africa. Vitafoam is a household name in Nigeria and known for its quality products and being a leader in innovation and advanced sleep technology. Mattresses can be custom-made to customers’ requirements using contour cutting equipment. The company also provides foam products for mothers with children including changing mats, baby cot mattresses and feeding pillows. Rigid polyurethane foam manufactured by Vitafoam Nigeria Plc is used in the oil and gas, refrigeration, air-conditioning, poultry and office partitioning sectors. 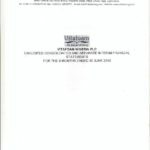 In 2002, Vitafoam Nigeria Plc became the first foam manufacturing company in Nigeria to be awarded the NIS 9002 Certificate for its flexible and rigid polyurethane foam, fiber pillows, underlays and adhesives. The company expanded its operations to include Vitafoam Ghana Limited (2008) and Vitafoam Sierra Leone Limited (2009). 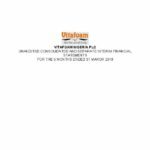 Vitafoam Nigeria Plc has a major stake in Vono Products and established Vitapur Nigeria which manufactures insulation products; and Vitablom which processes fibre and other material for the upholstery layer. Its company head office is in Lagos, Nigeria.